How to Lose Weight and Still Eat Everything You Like. Most people think you have to deny yourself your favorite foods and stick to a rigid diet to lose weight. On the contrary, the key to learning how to lose weight permanently is learning how to eat and enjoy everything you like in the right way, not making yourself go without. You even learn how to “splurge” on the weekend without gaining weight. This is not only possible, but is absolutely necessary if you want to lose weight permanently. 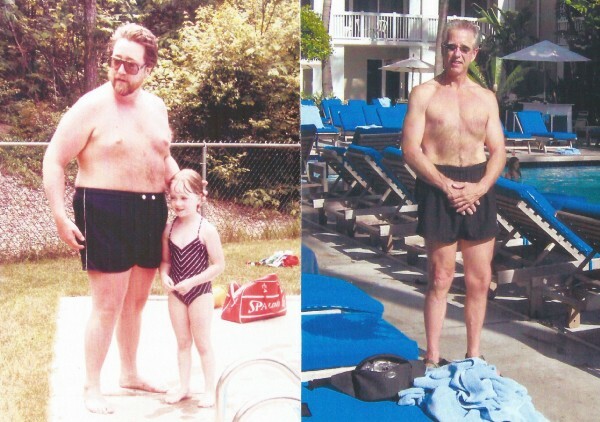 I was overweight and obese my entire life, well over 300 pounds at times and a miserable failure at diets and weight loss plans. I had given up more times than you can count. Fortunately, I kept looking for an answer and at the age of thirty-three, I finally learned how to lose weight for good and lost 140 pounds at a pretty fast clip. I’ve kept the weight off pretty easily for over thirty years now, and I eat everything I like. I don’t eat diet food and I don’t exercise like a health nut. I’m a Licensed Counselor now, I’ve helped thousands to succeed like I have, and I’ve written a popular and respected book about it, The Anderson Method, available in paperback, Kindle, and audiobook. If, over a month’s period of time, you’ve eaten fewer calories than you’ve burned in normal activities, regardless of what you’ve eaten and when you’ve eaten it, you’ll lose weight. You’ll lose weight even if you’ve eaten all your favorite foods, even if they are the things that the “diet experts” say you can’t eat. If you’ve been listening to diet nonsense on TV, in the magazines and at lunch, you may be skeptical of this, but this is science. It’s easy to verify at any university or college. Your body doesn’t operate on a 24 hour schedule. A five foot four inch woman needs an average of approximately 1400 to 1800 calories per day, depending on the individual, and will not gain weight if she doesn’t exceed that. However, if she has habits where she averages that most of the time, and exceeds it only occasionally, which is very easy, she’ll get overweight and constantly gain weight! If you’re a normal American, this has probably been happening to you. Instead of thinking of it as a 1800 calorie per day daily budget, think 12,600 calories per week. If you keep your weekdays at 1200, you’d have to eat more than 3800 calories per day on the weekends to gain weight! Keeping your weekdays austere gives you the ability to fit in anything without going “over budget”. A piece of cake is about 350 calories. A glass of wine is about 100. A normal serving of lasagna is about 500. If you think you can’t fit those things in on a day with a budget of 1800, we need to talk about that. However, getting these new habits in place isn’t a matter of “will power” or “just making up your mind”. There is a scientific method in how to lose weight and keep it off, but it is not so much the science of nutrition as it is the science of psychology and behavioral medicine. Will power and self discipline were never within my grasp before I discovered the methods I teach my clients, the methods of Behavioral Medicine I call Therapeutic Psychogenics. Reprogramming habits is the result of using these therapeutic techniques, methods of behavioral therapy. Once the habits are in place, we get a different result. We become and stay the weight we want to be. You’ve seen other people do it, those people who seem to eat just like you or worse and stay slim. You can do it too! Now, we eat only our favorite foods. We waste no calories on mediocre food. Our “diet” can include every kind of meat, potatoes, pasta, sauce, wine, drinks and even desserts that you can think of, as long as they are good enough for the calories they “cost”. We deny ourselves nothing. There is a proven way to “reprogram” your habits so the calories come out right and it becomes automatic and habitual, even easy to maintain for many. Learning how to lose weight permanently is not impossible. It’s just work, and not hard work at that. You don’t have to live a miserable life of diet food and torturous exercise to solve your weight problem. In fact, permanent weight loss is the result of learning a more pleasurable way of living that includes some of your most cherished foods and activities, a way that becomes habitual and normal for you. You can even become one of those infuriating people who seem to eat all the wrong things and “have no problem”. Read my book and you’ll truly find out how to lose weight.